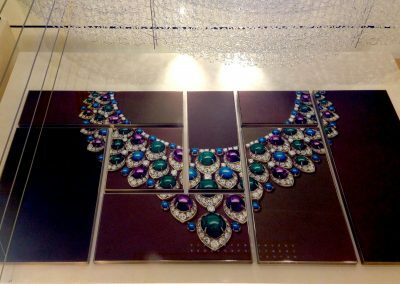 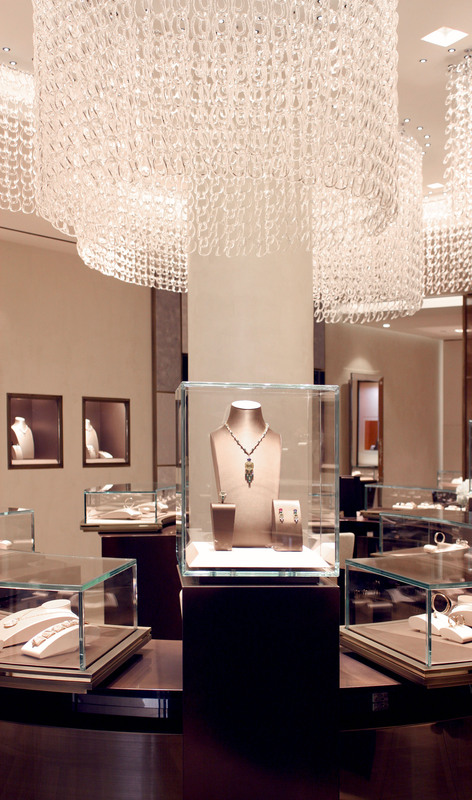 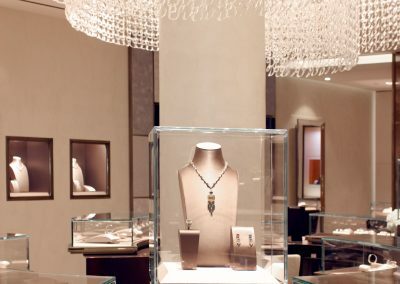 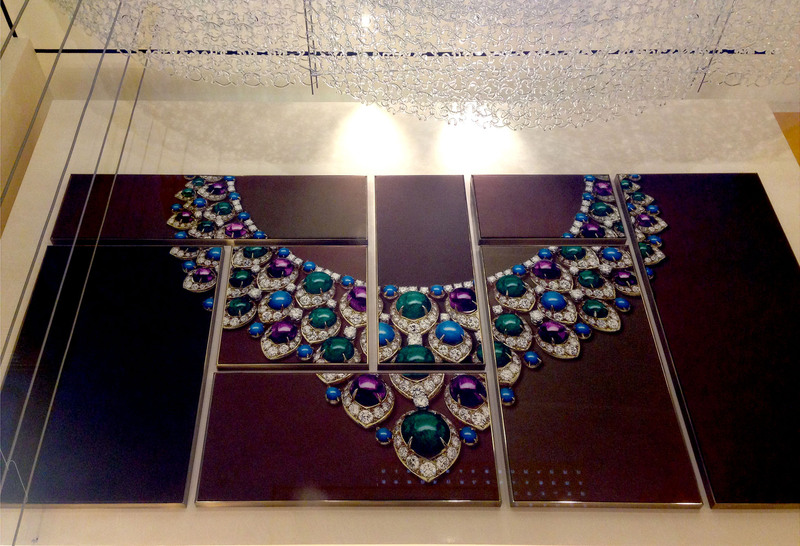 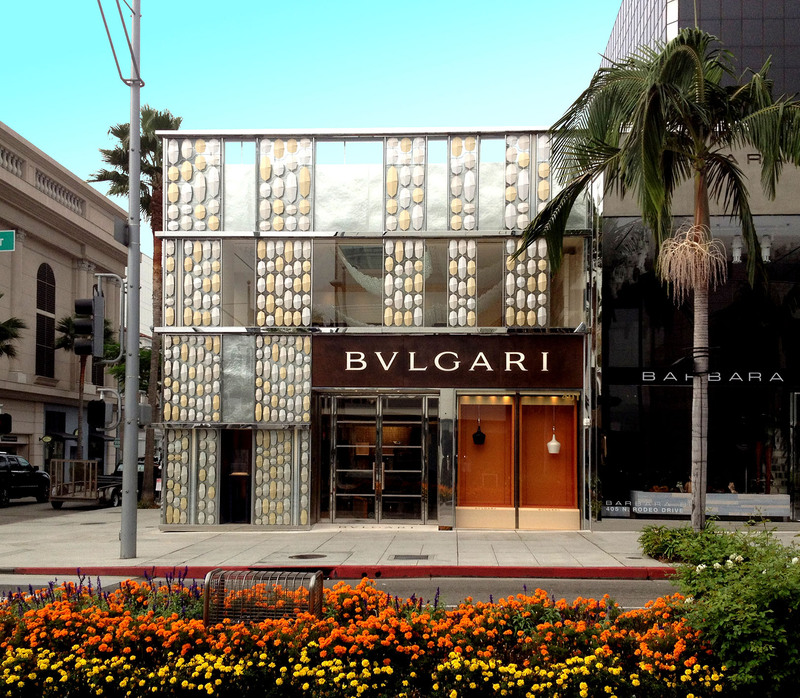 Gruen Associates is the Architect for this new two-story 5,000-SF jewelry boutique. 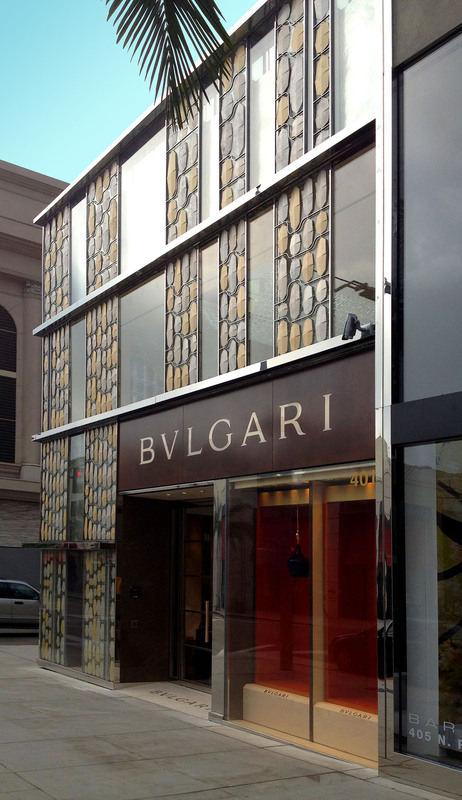 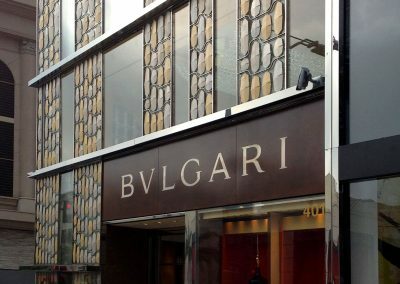 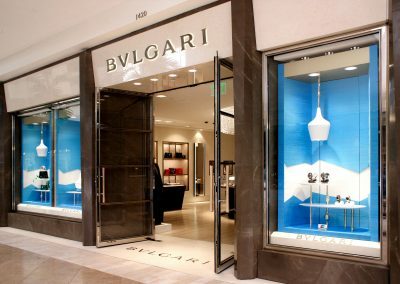 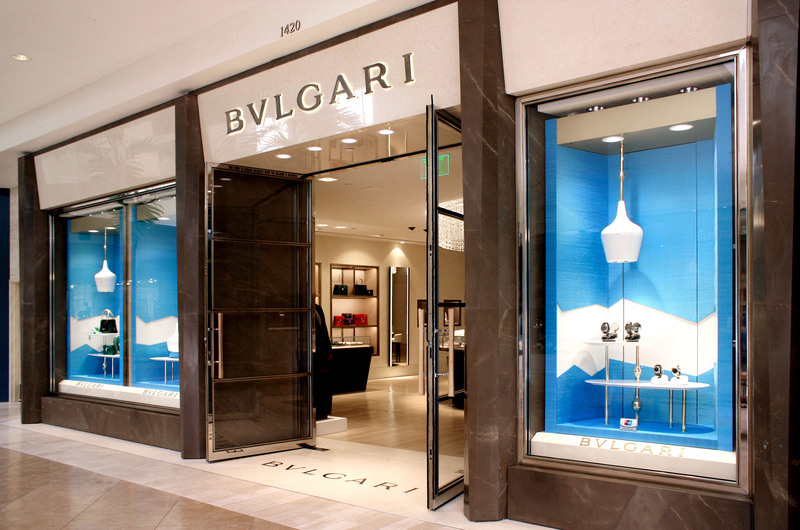 A double-height entrance inlaid with Veneziana terrazzo flooring, framed graphics in a puzzle arrangement, and topped with custom skylit Vistosi Giogali crystal link chandeliers impress upon arrival. 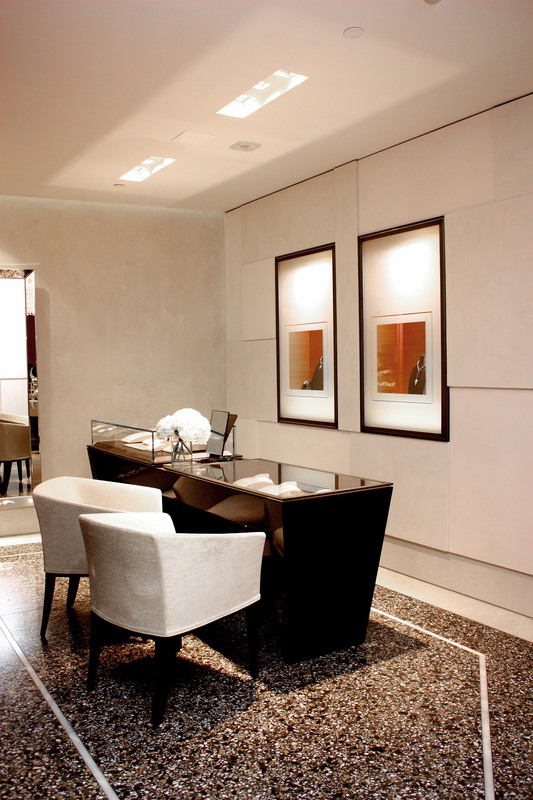 Serpentine Ivory Encausto plaster walls blend seamlessly into Trani Chiaro stone wainscot providing a neutral background for the bronze framed wall cases. 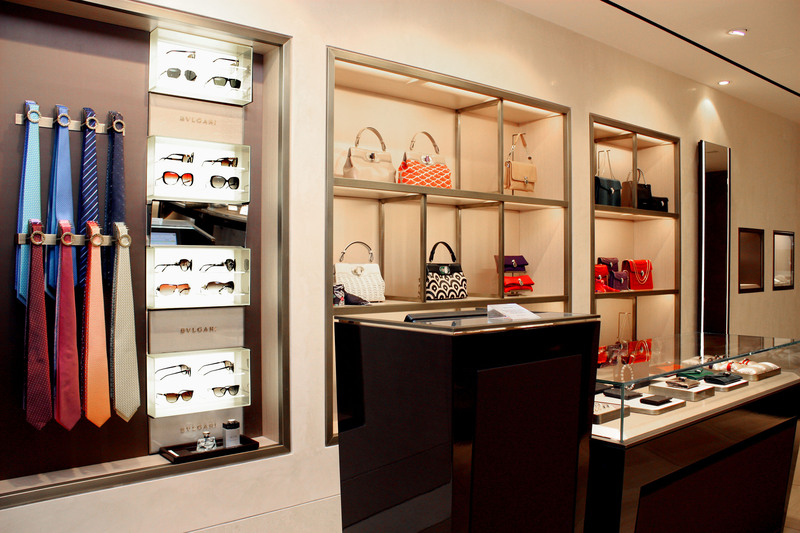 Sales counters in gridded-etched bronze and ultra-clear glass weave through the space. 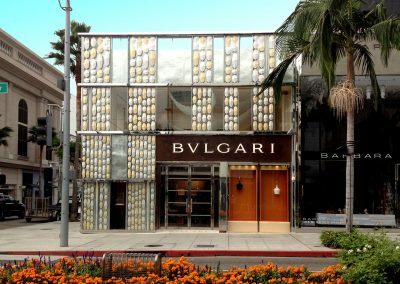 The journey upstairs via a private grand staircase leads to a VIP floor with a private silk curtained sales salon and a guest lounge encased in sliding metal net panels. 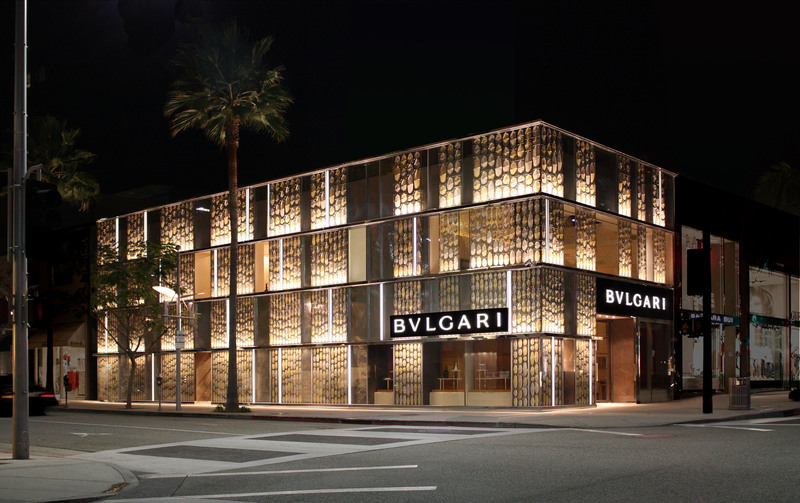 Outside, the façade gleams with screens of multi-sized metal leaves in three metallic paint finishes. 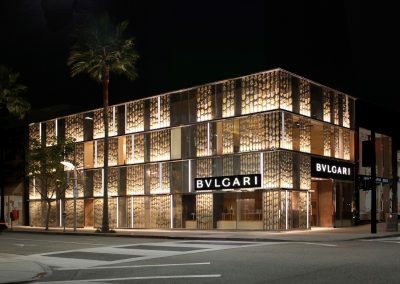 LED vertical lanterns punctuate at night, while the glow from hidden horizontal LED cove lights wash the sculptural leaf panels and provide sparkle. 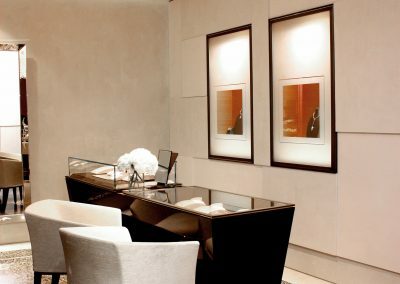 Gruen Associates has also completed a second boutique in Costa Mesa.